On June 5, 2012 (June 6 for those west of the International Date Line), a rare astronomical event will occur: the Transit of Venus. The event will last six hours and will not occur again until 2117. This is your last chance to see one! Because you can actually see a planet move across the disk of the sun, transits provide a unique opportunity to watch the solar system in motion. For a Transit of Venus to take place, the planet Venus must be located in line with both the Earth and the sun. This positioning doesn’t happen very often due to the track of Venus’ orbit. A telescope is necessary to even notice a transit, so the Transit of Venus was not observed until 1639. Since that time there have been only five Transits of Venus. The most recent was in 2004 and, before that, over a century ago, in 1882. There were no transits during the 20th century. Two early transits (1761 and 1769) were used by astronomers to calculate the distance to the sun. Observers were dispatched to all corners of the Earth to record the time when Venus first appeared against the solar surface and when it departed. These numbers were “crunched” (by hand) to come up with a relatively good value for our distance to the sun. During the 1769 transit, the enigmatic Captain Cook led one of the more famous expeditions, on the ship Endeavour to Tahiti. This was Captain Cook’s first of three voyages into the Pacific Ocean, and the observation of the Transit of Venus was just one of the achievements of his explorations. Now, if you embark on the June 2, 2012, sailing to Tahiti & the Society Islands, you will have the opportunity to recreate Captain Cook’s experience, aboard the m/s Paul Gauguin. On June 5, 2012, The Gauguin will be at anchor off the island of Bora Bora. Safe solar viewing tools will be available under the direction of an onboard solar expert. Take a look through the solar telescope, then wait a few minutes before looking again. Venus will have moved. You will have seen Venus pass Earth against the backdrop of the sun. It is an exhilarating experience! – Approximately 12:12-12:30 p.m.: Venus moves inside the solar disk. – 5:38: Sun sets on Bora Bora. 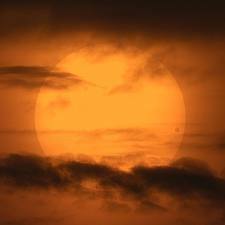 – Approximately 6:24-6:43 p.m.: The Transit of Venus ends. Venus will be visible against the surface of the sun all afternoon, barring clouds or other weather-related impediments. In an age dominated by technology, Olympic officials seem eager to show that the 2012 Games will remain on the cutting edge. Ten months from their official start, the London Games already represent a number of Olympic firsts. Last month, officials unveiled a state-of-the-art website that will allow fans to create personalized online Olympic itineraries. Another technological first was revealed today with the announcement that the 2012 Summer Olympics will be broadcast live in a 3D format for the first time. Those not lucky enough to board flights to London next year will still be able to experience the Games like never before. In a partnership with electronic company Panasonic, Olympic officials will distribute more than 10 hours of 3D Games footage across the globe each day. In addition, both the opening and closing ceremonies will be available for 3D viewing. During a press conference announcing the partnership, a Panasonic spokesman said that the Olympic Games represent the perfect opportunity to show off the enhanced experience of 3D technology. He predicted that this experiemnt will forever change the way we watch the Olympics in our living rooms.